As one of the most effective methods of restoring the aesthetic and structural qualities of your teeth crowns are a protective covering that covers the entire surface of the tooth. Multiple types of crowns exist, including porcelain crowns which combine the most resilient materials with a nearly natural aesthetic beauty. All styles are incredibly durable and can last for many years, but in time will need to be replaced. Why Would I Need To Get A Crown? 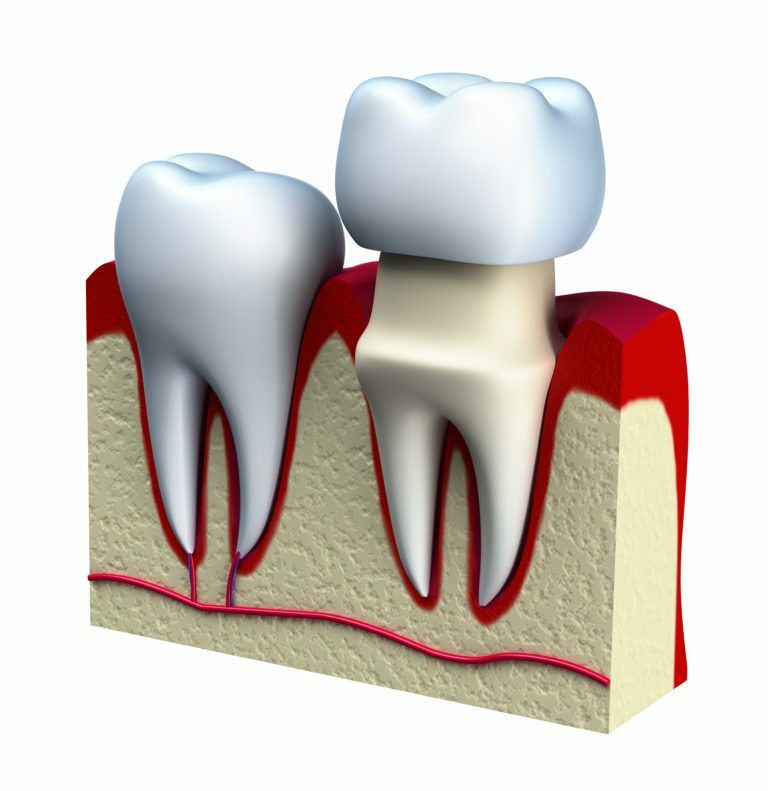 Fillings that have become loose or fractured, or otherwise defective. Teeth that have been the subject of root canal treatments. What Is Involved In Receiving A Crown? Recent innovations in dental procedures have resulted in the creation of CEREC®, Chairside Economical Restorations of Esthetic Ceramic. Previous creation of crowns and other restorations required an external dental laboratory to create, and thus a waiting period between preparation for the restoration and its application. CEREC® has made it possible to have this done in mere minutes in the dental office, so in many instances, crowns can be put in place in just one visit. Properly cared for your crowns will last for many years, with research indicating that crowns will last at least 10 years with normal care, and have been shown to continue to be in good repair at 25 years. Taking care of your crown requires the same amount of attention as taking care of your whole, natural teeth. Regular brushing and flossing, combined with mouthwash, will help maintain your crowns for years to come. What Kind Of Materials Are Used To Make Crowns? If you think that you have a condition that might be treatable with dental crowns, contact your dentist for a consultation today. Your time with the dentist will include an examination, including possible imaging processes to determine the nature of your concern and what the proper steps will be to address your dental issues.